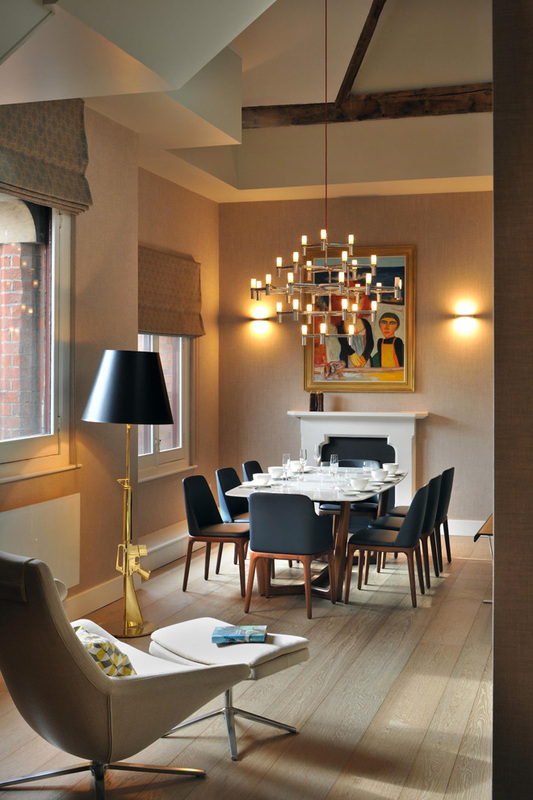 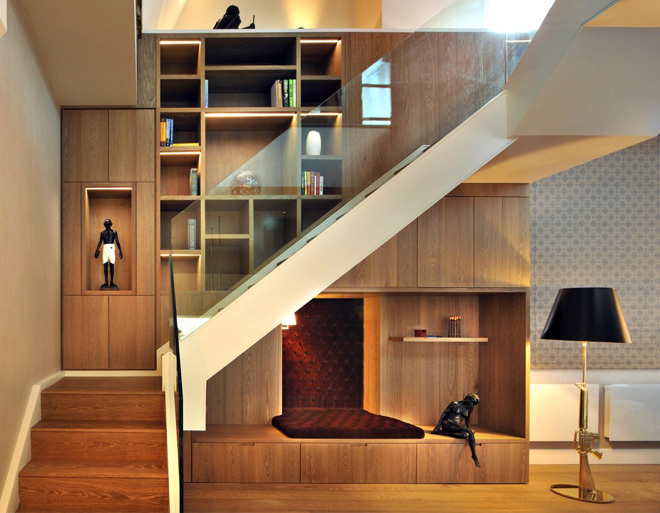 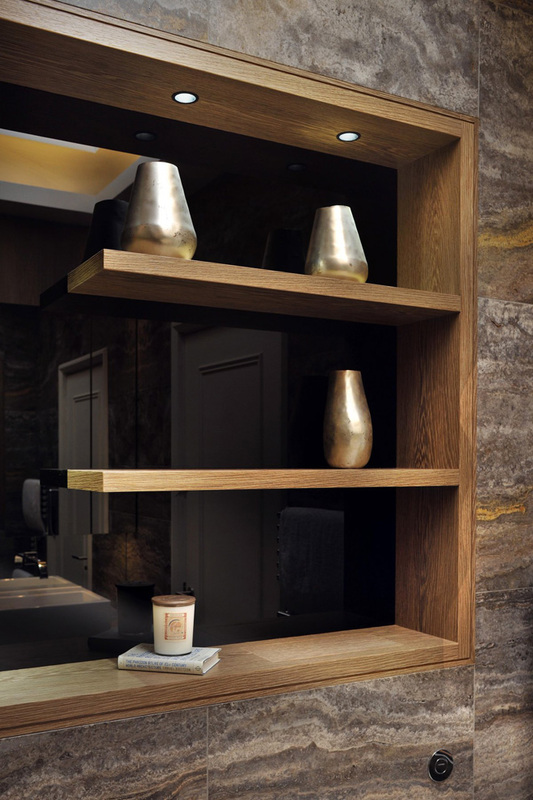 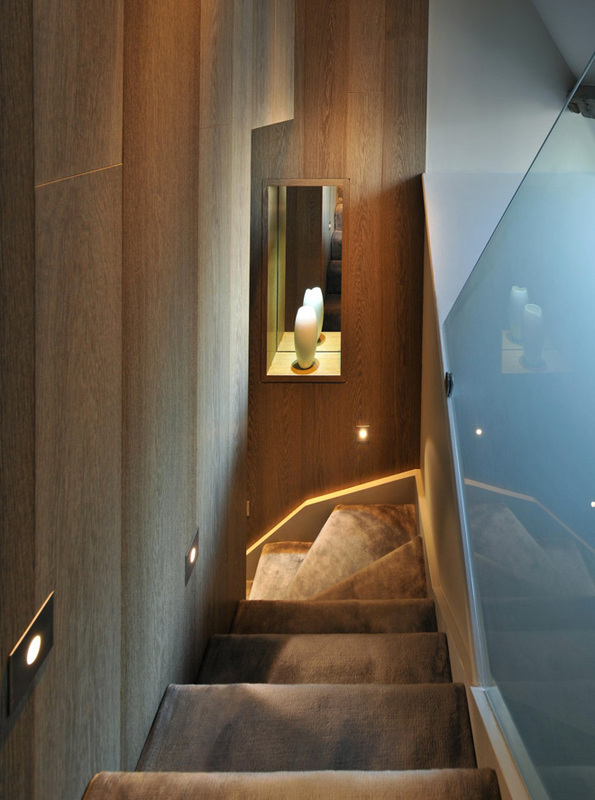 This tri-level London penthouse is sparse in some aspects but rich in textures. 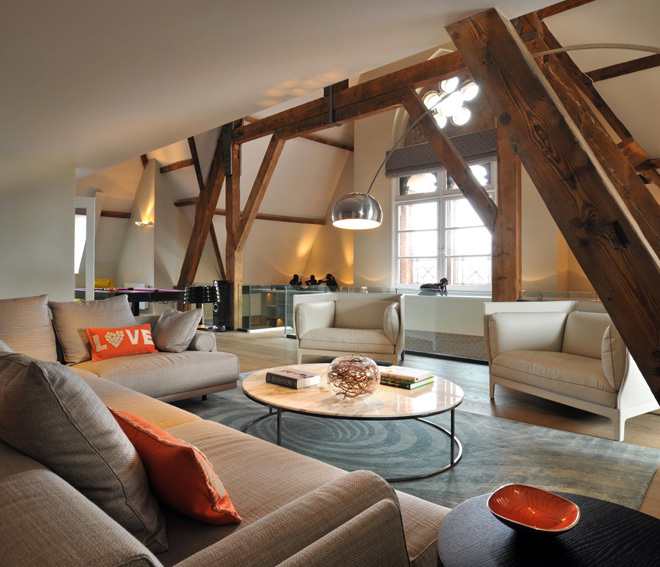 This bachelor pad is located in a renovated 19th-century building near St. Pancras railway station. 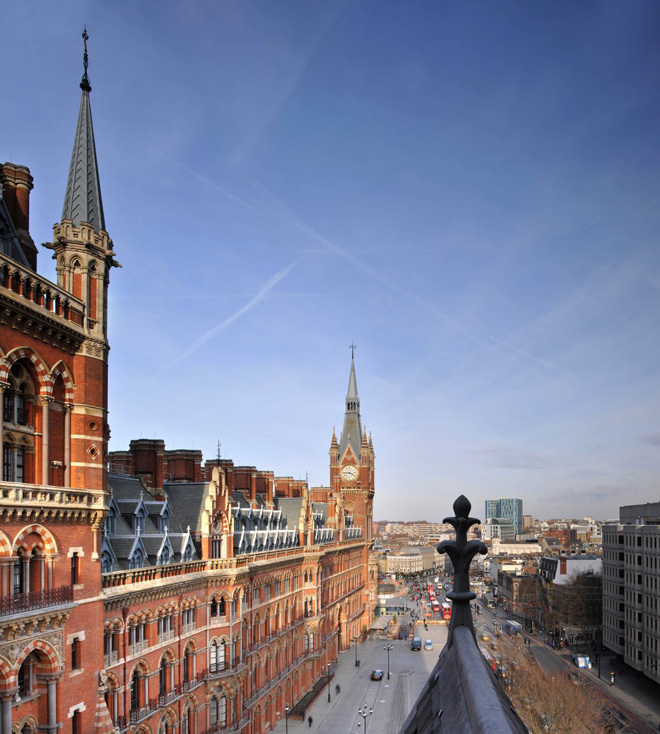 (The train station Harry Potter goes to for trips to Hogwarts). 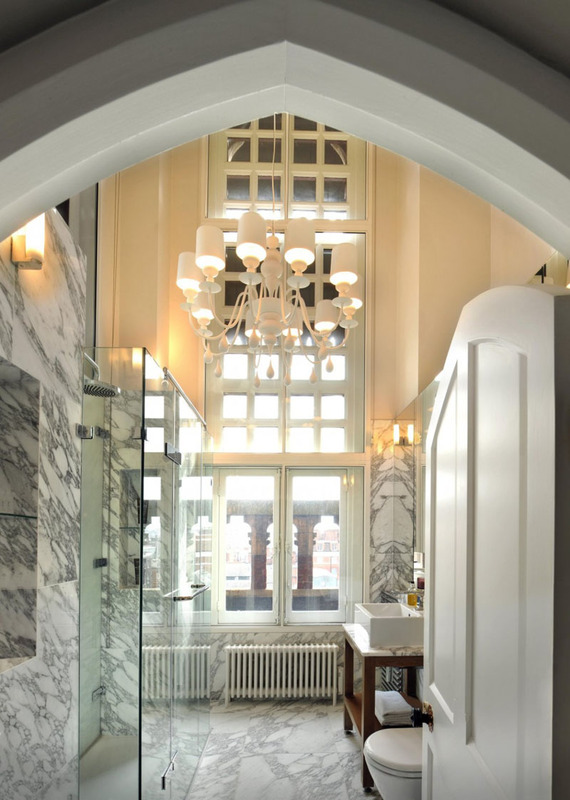 The penthouse is on England’s National Heritage List and as a result the beautiful original features had to be preserved. 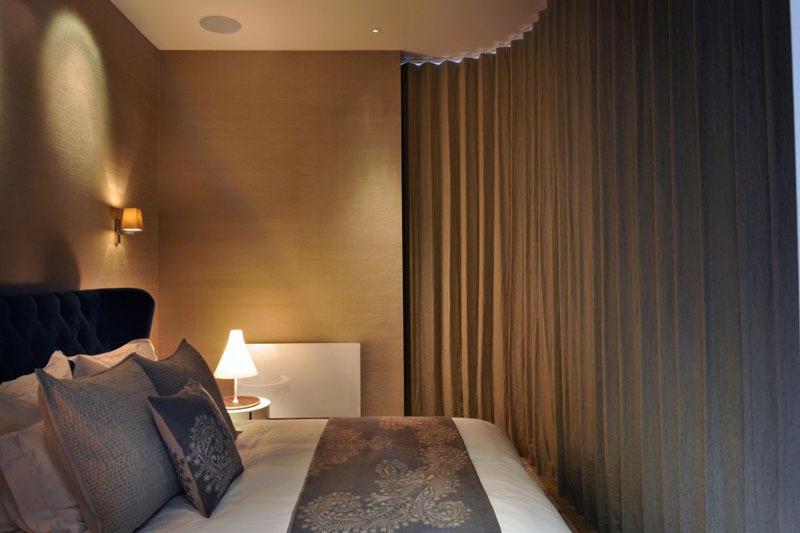 I love the curtain wall in the master bedroom, the velvet headboard and the textured muted wallpaper…it all adds an element of coziness considering its open tri-level floor plan. 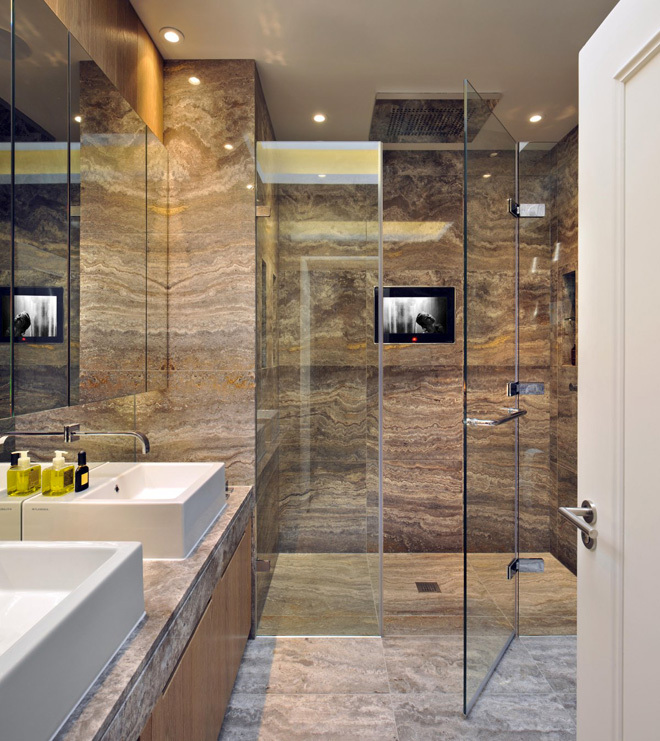 The master bath is simply and amazingly well designed for a bachelor. 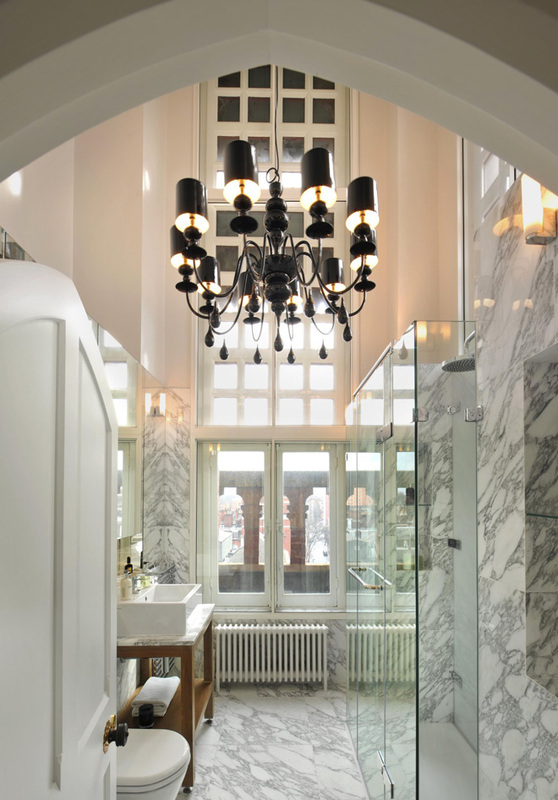 The arrabascato marble his and her bathrooms at the bottom are for guests. 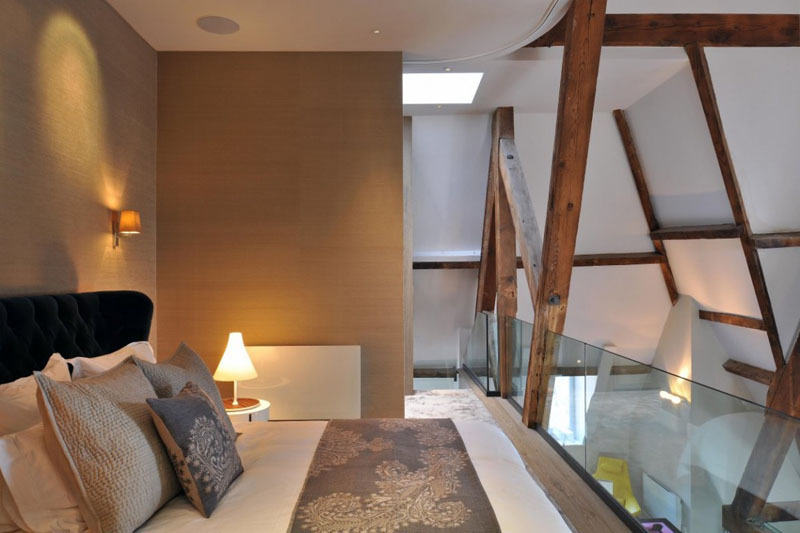 They (TG Studio- London) ingeniously encompass the beautiful scenic views of London, as well as took the high ceilings into consideration by adding the chandeliers as center pieces. 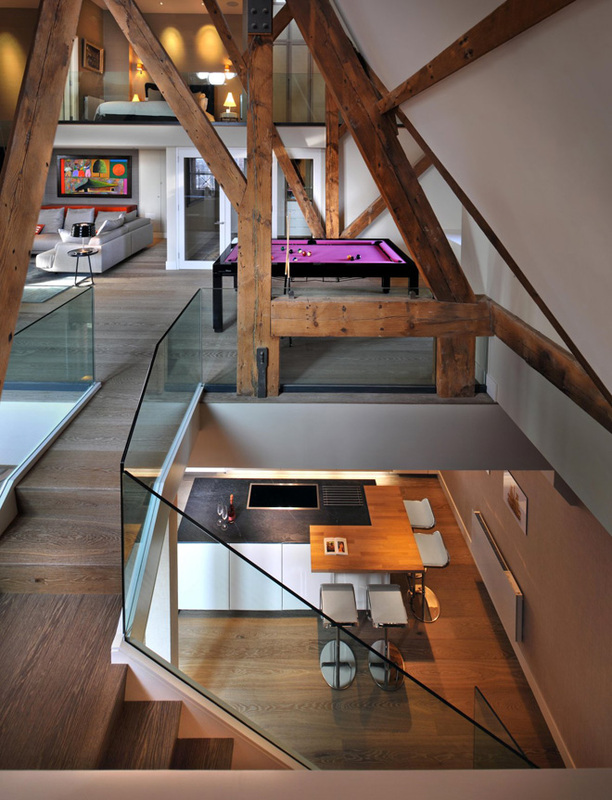 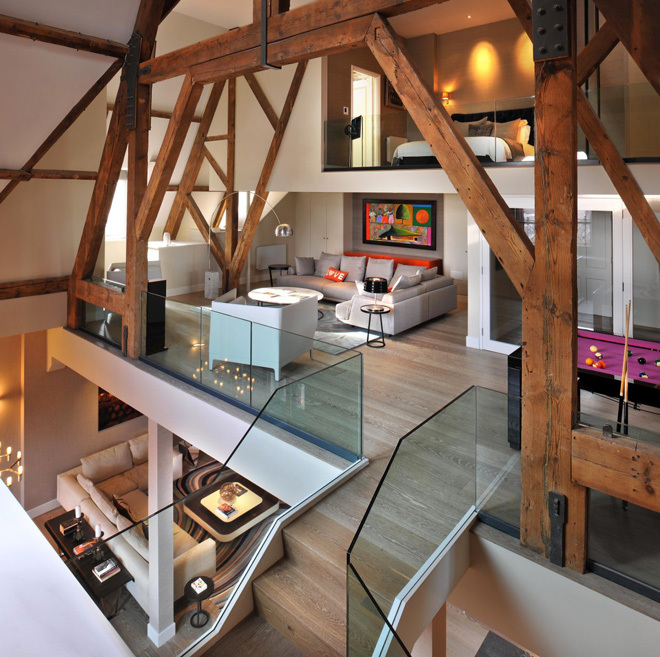 The best part of all of this…….The original BEAMS.